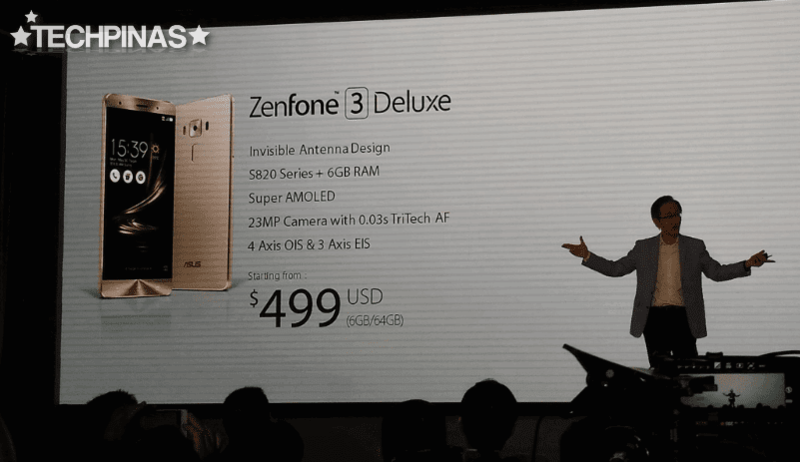 Asus ZenFone 3 Deluxe Price is $499, Officially Announced! Following weeks of rumors and supposed ‘insider reports’, Taiwanese electronics giant today unveiled three new flagship level smartphones as part of its 2016 catalogue. The launch was held here in Taipei, Taiwan today – May 30, 2016 – as part of the company’s presentation and exhibit at Computex. I’m fortunate to have been chosen as part of the Philippine delegation to witness this much awaited unveiling. Asus ZenFone 3, Asus ZenFone 3 Deluxe, and Asus ZenFone 3 Ultra form the incredible trio – but of the three, Asus ZenFone 3 Deluxe is the one that I find most interesting. Asus ZenFone 3 Deluxe will don an official SRP of $499 or around Php 23,350 with current conversion (before taxes) when it becomes available in key markets come mid-July 2016. Why, you ask? Well, it’s because this particular model will be the first ever smartphone with 6GB of RAM that’s slated for global release – with Philippines being one of the key markets for it. As I’ve said previously, Vivo XPlay 5 Elite was the first smartphone to have such amount of RAM for ultra-smooth multi-tasking. But unfortunately, Vivo Mobile opted to just give the handset China-only availability. Let’s get to know Asus ZenFone 3 Deluxe more. Design-wise, the device flaunts an all-new look and build – replete with premium materials including real metal and glass. 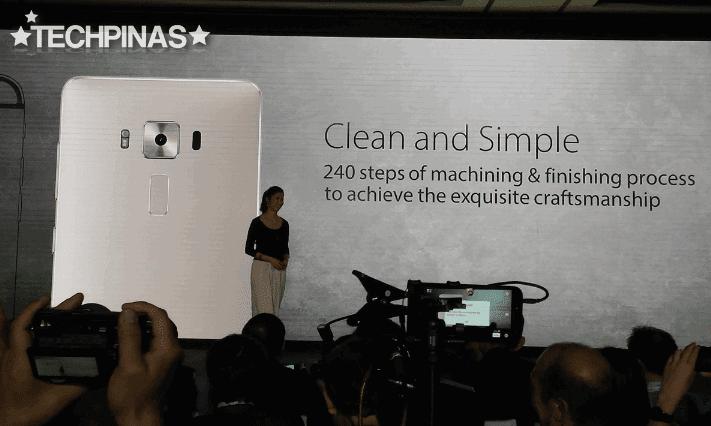 This represents a massive improvement coming from Asus ZenFone 2 Deluxe’s predominantly polycarbonate build. But the departments where ZF3 Deluxe truly shines is when it terms of imaging capabilities and internal hardware. 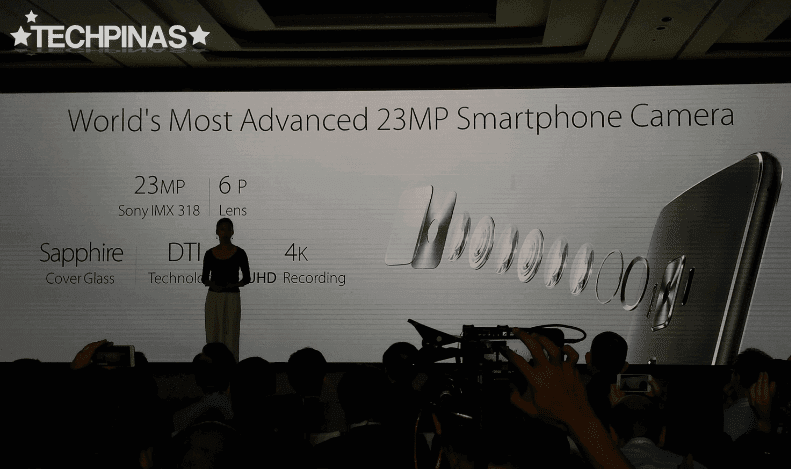 This new high-end smartphone sports a 23 MegaPixel autofocus camera at the back with Dual Tone LED flash, 4-axis optical image stabilization, Tri-Tech autofocus system, f/2.0 aperture, and Sony IMX318 sensor. The main shooter is complemented by an 8 MegaPixel front-facing cam (TBC) with Beauty Mode for selfies. This duo is a clear upgrade coming from a 13 MegaPixel PixelMaster camera and 5MP selfie snapper of the ZenFone 2 Deluxe. 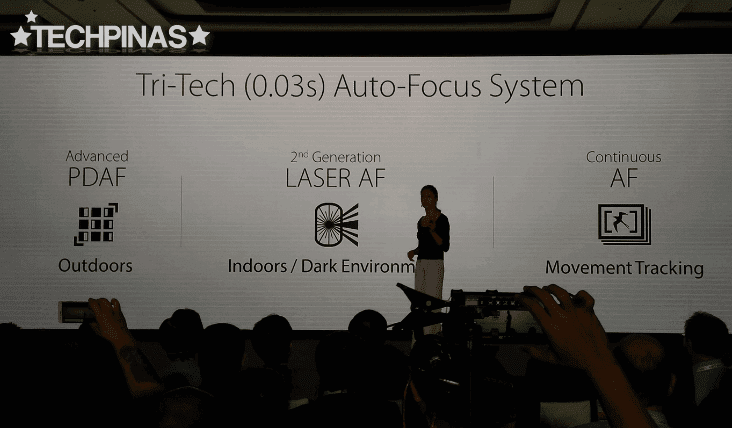 Asus' new Tri-Tech Auto-Focus System allows the ZenFone 3 Deluxe's camera to lock-in on a subject in just 0.03 seconds even in low-light settings and even if the subject is in motion, thanks to continuous AF with movement tracking. At its heart, Asus ZenFone 3 Deluxe runs its ZenUI-flavored Android 6.0 Marshmallow operating system with its powerhouse Qualcomm Snapdragon 820 MSM8996, has – again – 6GB of RAM for industry-leading multitasking experience, and comes with 128GB of expandable internal storage. The combination of these innards make this release a legitimate 2016 flagship killer. Other key features of the ZF3 Deluxe include its 5.7-inch Full HD SuperAMOLED display underneath scratch-resistant glass touchscreen, 4G LTE Cat9 support, 3,000 mAh battery pack (TBC), and Dual SIM Dual Standby Capability (TBC). The smartphone also has a built-in fingerprint sensor that's positioned at its rear, sitting underneath the user's finger and unlocking the phone in just a fraction of a second. Users will likewise enjoy Quick Charge 3.0 technology that reduces battery recharge times as well as a reversible USB 3.0 Type-C port that makes data syncing and charging effortless. ZenFone 3 Deluxe excels at audio performance with its five-magnet speaker and NXP smart amplifier that provides clear and bright sound and also protects the speakers from potential damage. When listening to music using Asus-certified headphones, you can enjoy Hi-Res Audio (HRA) on this stellar new model that provides up four-times-better sound quality than your standard audio experience.